You will need to apply in person for a temporary instruction permit before you can obtain a full driver's license. After holding your permit for 30 days, you can take your driving test. After passing this test, you will be issued your driver's license. You can apply for an enhanced driver's license for an additional fee. Continue reading this page to learn how to obtain your driver's license from the Michigan Secretary of State (SOS). NOTE: If you are younger than 18 years old, you will need to complete the graduated driver licensing (GDL) program. Please follow the application instructions on our Applying for a New Teen License page. You must obtain a Michigan driver's license once you become a resident of the state. Please follow the instructions below. If your out-of-state driver's license is valid or has been expired for 4 years or less, your driving and written tests may be waived and you may be able to simply transfer your license over. Contact the Michigan SOS at (888) 767-6424 for more information. You will also be able to transfer your out-of-state driver's license for an enhanced MI license as long as you're a U.S. citizen and meet all eligibility requirements. See below for application instructions. If you are not a U.S. citizen, your MI driver's license will be valid for as long as you are legally allowed to stay in the country (up to 4 years at a time). You will not be eligible for an enhanced driver's license. Commercial driver's license (CDL): For the operation of commercial vehicles. Learner's and intermediate licenses: For teenagers as part of the GDL program. A legal resident of the U.S.
You must be a U.S. citizen if you want an enhanced driver's license. Legally allowed to operate a motor vehicle (the MI SOS will check your driving record for any violations, suspensions, revocations, etc.). Letter of ineligibility from the Social Security Administration (SSA). NOTE: The MI SOS website has a list of accepted and required documents for a standard driver's license and enhanced driver's license. Your TIP will be issued and allows you to practice driving while supervised by a licensed adult. Your certificate showing you passed the road skills test. Payment for the $20 fee, if you're applying for an enhanced license. You will not be charged a fee for a standard driver's license. An enhanced driver's license can be used as identification (in place of a passport) to cross borders to Mexico, Canada, Bermuda, and the Caribbean, either by land or sea. This card has been made available as part of the federal REAL ID Act. If you already have a driver's license, whether it be from Michigan or another U.S. state, you can upgrade it to an enhanced driver's license. NOTE: Before applying, make sure you are eligible. NOTE: A complete list of required documents can be found on the Michigan SOS website. To pay the $45 fee. The Michigan Secretary of State (SOS) will issue you a temporary license to drive with until your enhanced driver's license arrives in the mail within 3 weeks. NOTE: You cannot use the temporary license as identification for travel to any other country. In order to obtain your driver's license in Michigan, you will need to pass both a knowledge test and road skills test. You will need to pass a knowledge exam in order to obtain your temporary instruction permit. If you want to pass the written test you can always study the Michigan Driver Manual, but who has time for that? That bad boy is about 156 pages long! We suggest preparing for the exam with an online practice test from our certified partner. Your driving skills test can be taken at any approved third-party tester location. Fees may vary depending on which organization you take your test at. 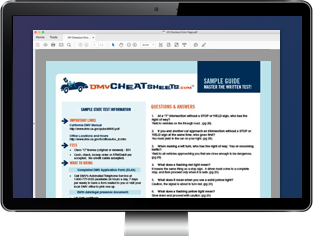 Before taking exam, have a look at the Driving Skills Test Study Guide and make sure you're ready. If you fail your test, you will need to wait 1 day before you can try again. You need to successfully perform various maneuvers (e.g. parallel parking, backing on a curved path, stopping and starting) and show you can operate the vehicle safely.